There’s an interesting market in the automotive world that bleeds into the fashion and accessories world. I am, of course, talking about the automaker branded items that have nothing to do with cars (like cologne, clothes, etc). I want to point out that I am not referring to the Mustang t-shirt that I bought at Target for five bucks; I’m talking about high end, name brand, “you can only buy it specialty shops” type stuff. Stuff that people pay a fortune for. The reason why I started thinking about this is because I read a recent DriveTribe post by James May entitled “Trousers Take Wing.” James is somewhat of an expert on this phenomenon, having been part of many an old Top Gear episode (and recent Grand Tour episode) where the boys talk about a variety of motor related Christmas gift ideas (such as a BMW branded plate of vomit or a $1,500 bottle of Bugatti aftershave). My favorite was the head mounted indicators. I’m getting a bit off topic here. In James’ post, he talks about examples such as Rolls Royce presenting themselves as “House of Rolls-Royce” (which makes them sound like something you might find in a Nordstrom), or Aston Martin unveiling a new collection called Aston Martin by Hackett (inspired by a boat, no less). Aston Martin by Hackett is a 22 piece collection of outerwear, knitwear, shirts, etc. that I’m sure all costs more than my actual car itself. All judging aside, the reason why I thought so hard about this is because something like a Ferrari snow sled or Bugatti cologne must not have just come about over dinner one night. These car companies must have teams that have invest millions into these ideas and marketing them. I wonder if that those resources would be better spent on the cars themselves? I mean, these are all spectacular cars, but they aren’t without issues (see exploding Lamborghini). 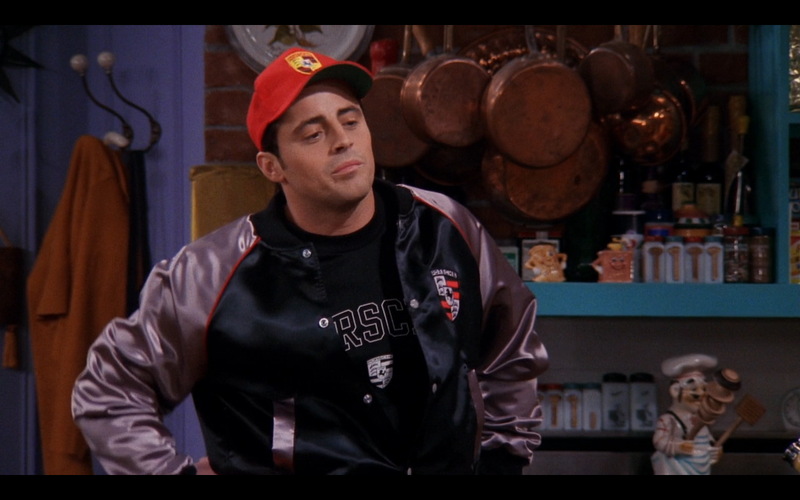 At the very least, you’ll look like Joey from that one episode of Friends. You know which one.